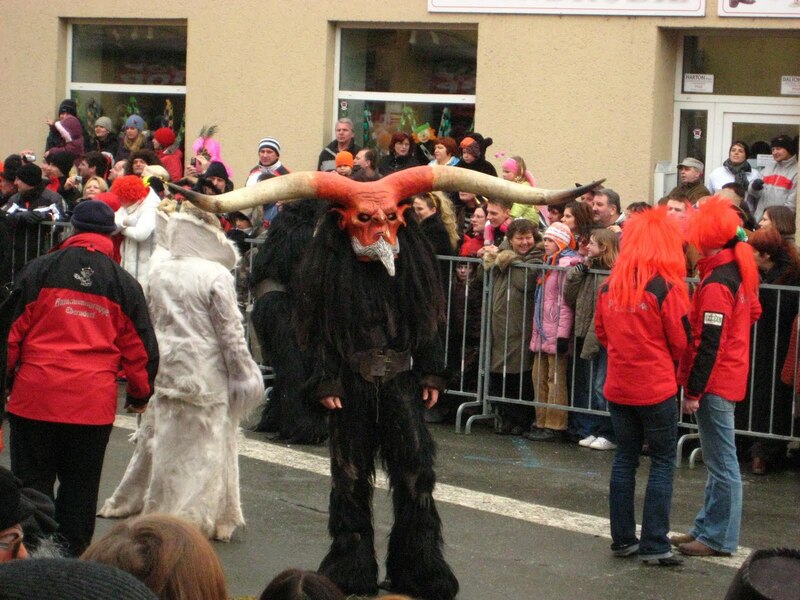 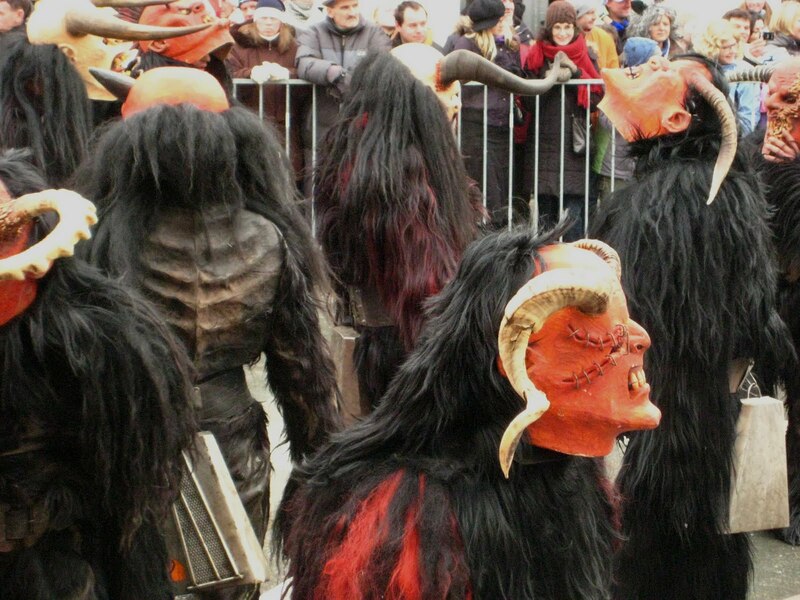 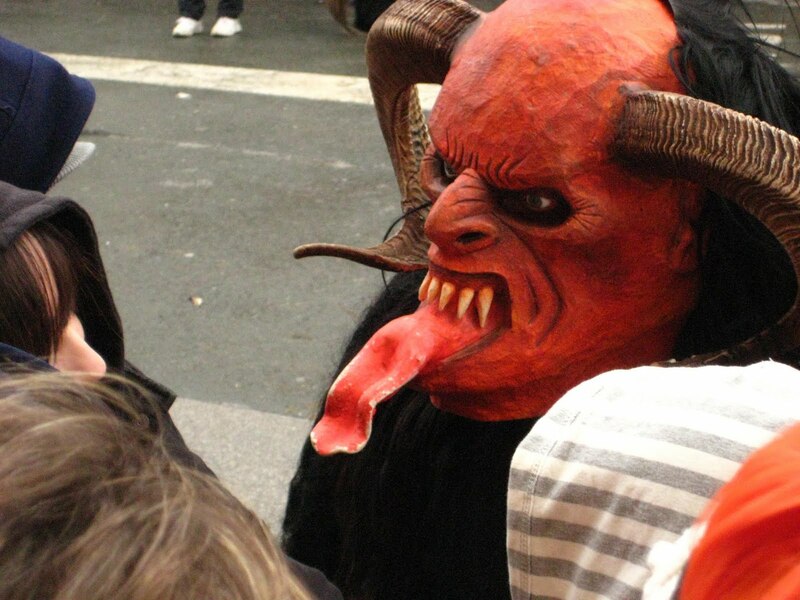 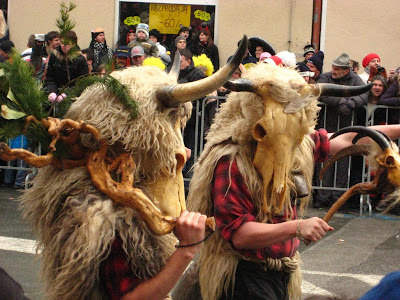 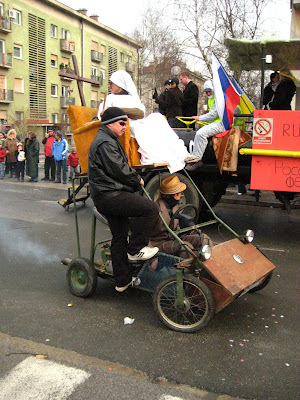 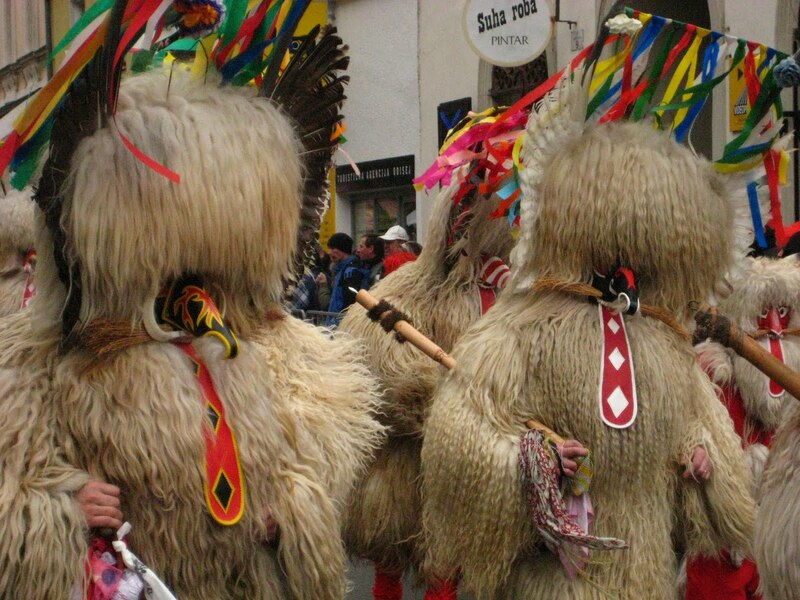 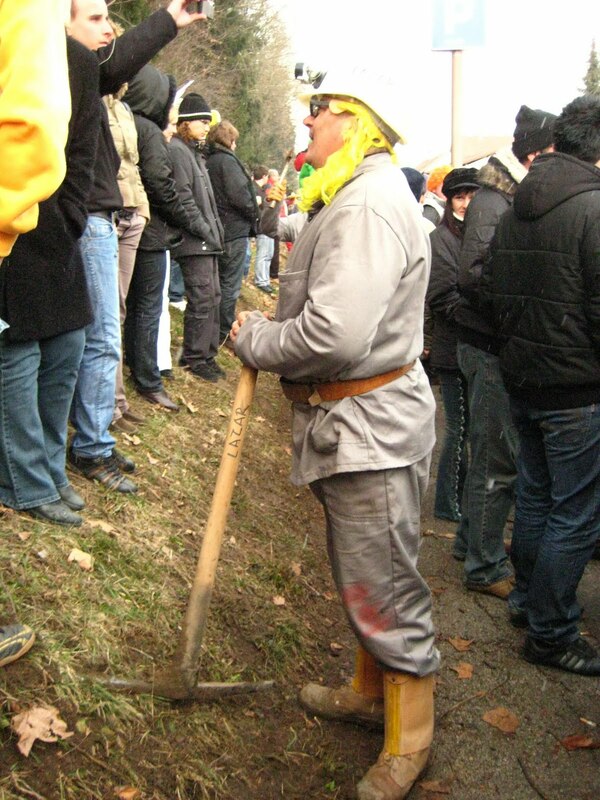 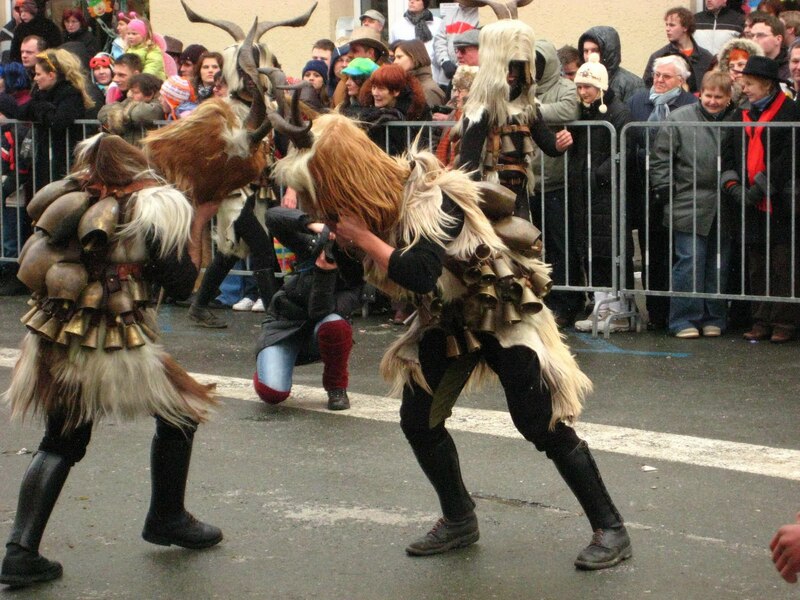 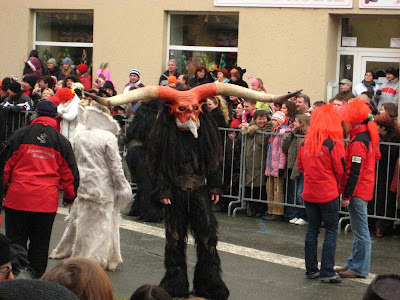 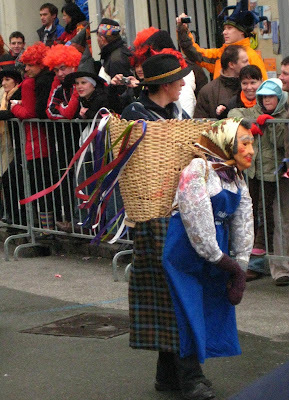 The end of the February and people go crazy in Slovenia about masks, costums and carnival. 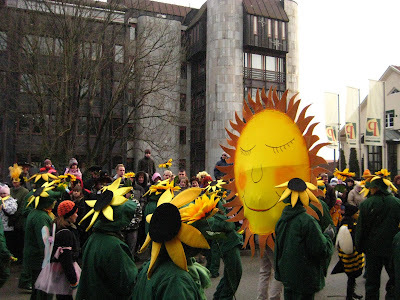 It´s amazing that there is so many events going on everywhere. 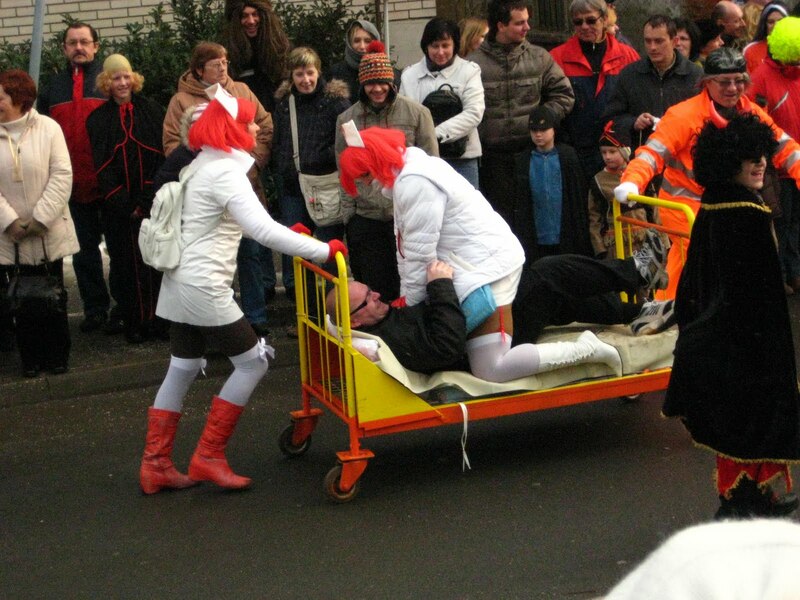 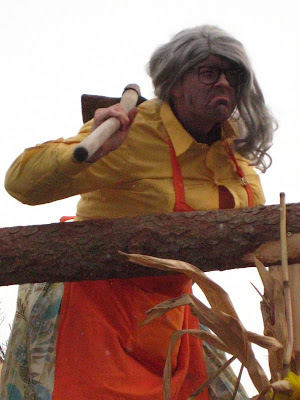 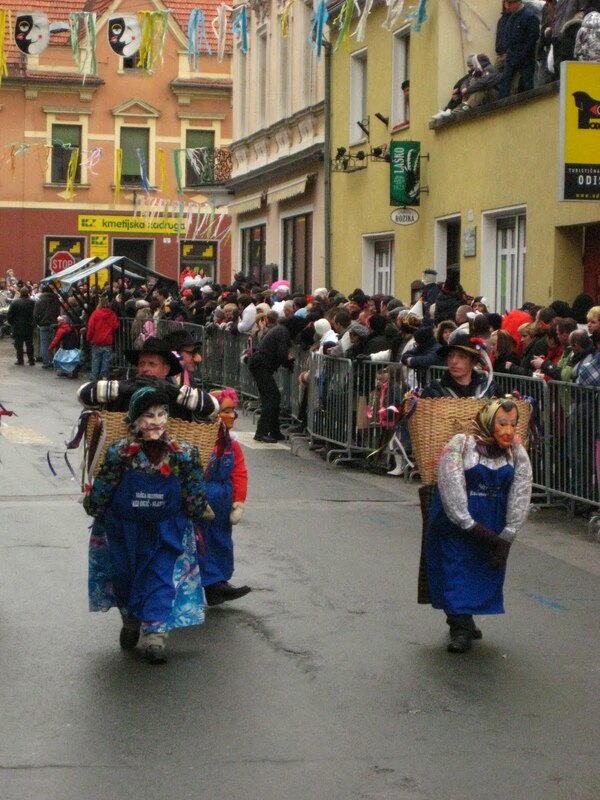 Each village, each small town have their own ‘fasjenk’ – a bigger or a smaller carnival celebration. 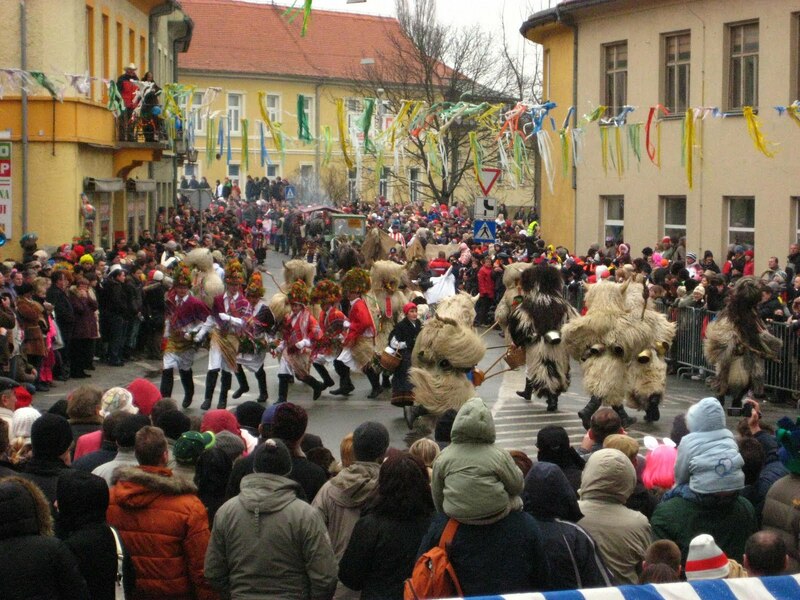 However, I decided to go to the capital of Slovenian carnival, Ptuj. 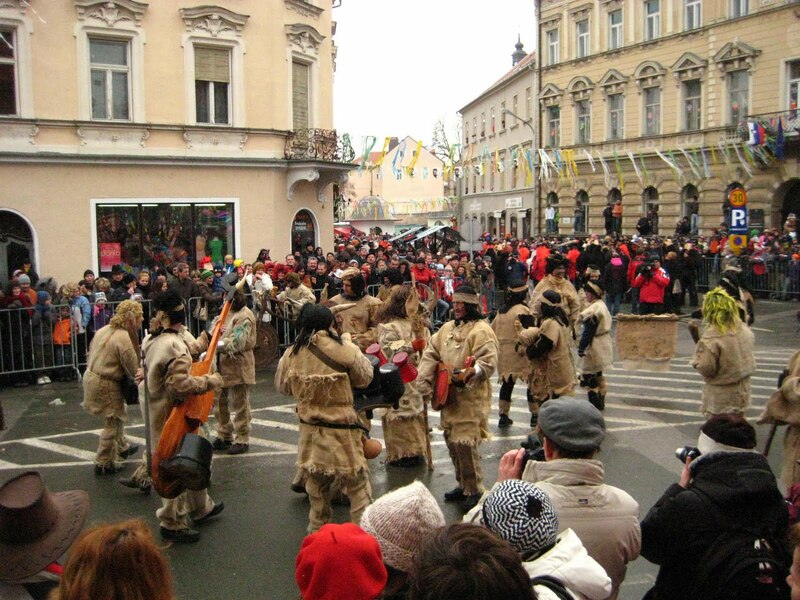 Kurentovanje is a famous traditionial, one week long carnival festival. 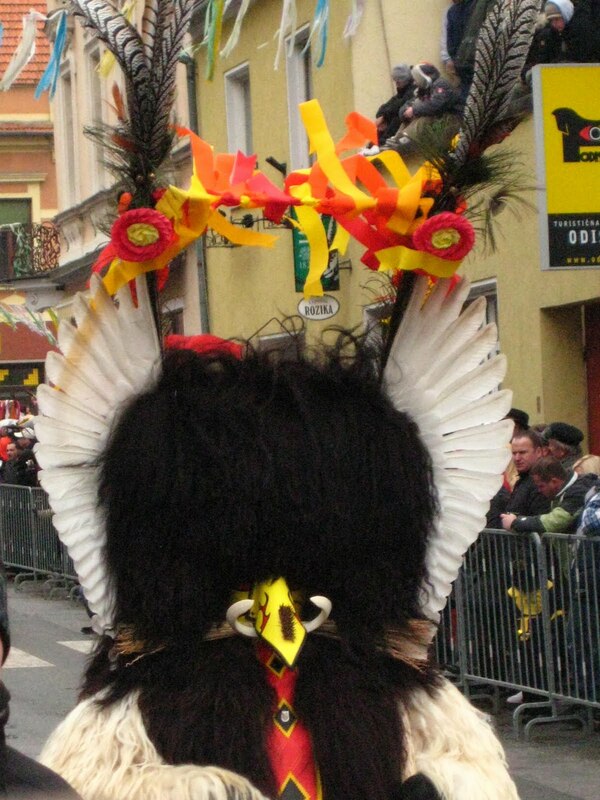 Its names origins in the name of the costume you can see on first photos - Kurent. 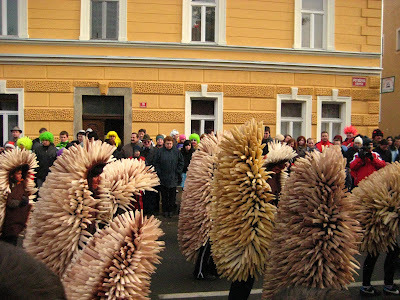 It contains of sheep fur, cow horns, 5 metal bells, a club with a hedgehog´s skin at one end. 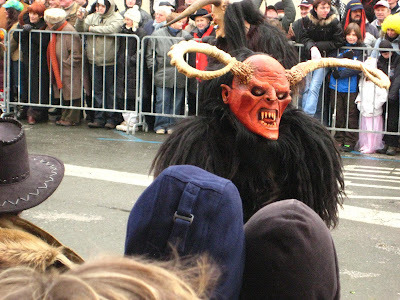 It is belived that this creature will scare winter and welcome spring - I can belive it can, because on the streets of Ptuj, there were more than 200 hundreds of them running and making enormous noise. 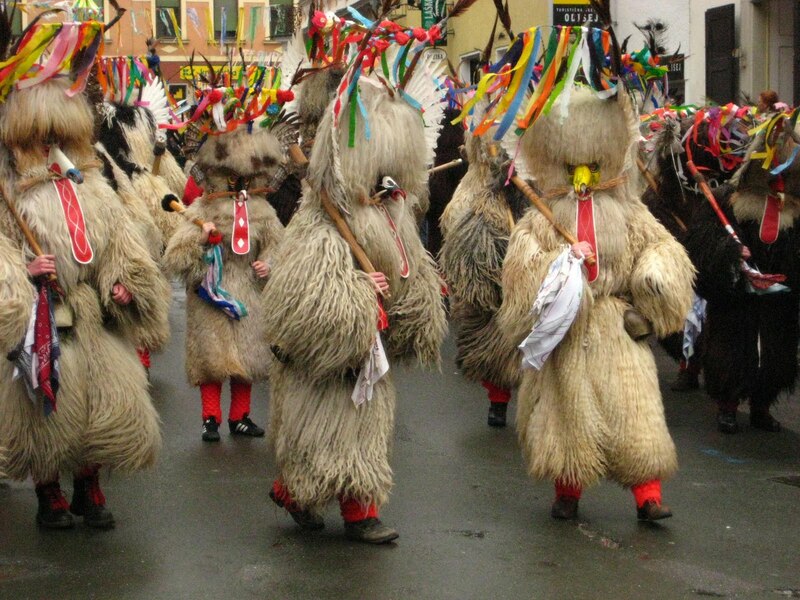 Firstly, just unmarried men were allowed to take part in this ritual. 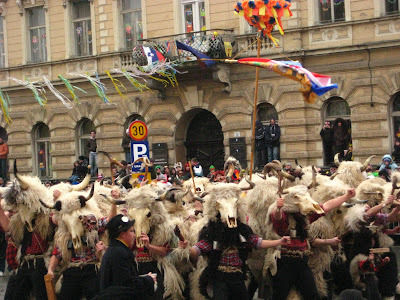 Briefly, all origins from old, pogan Slavic beliefs. 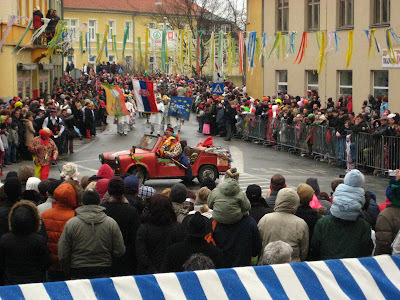 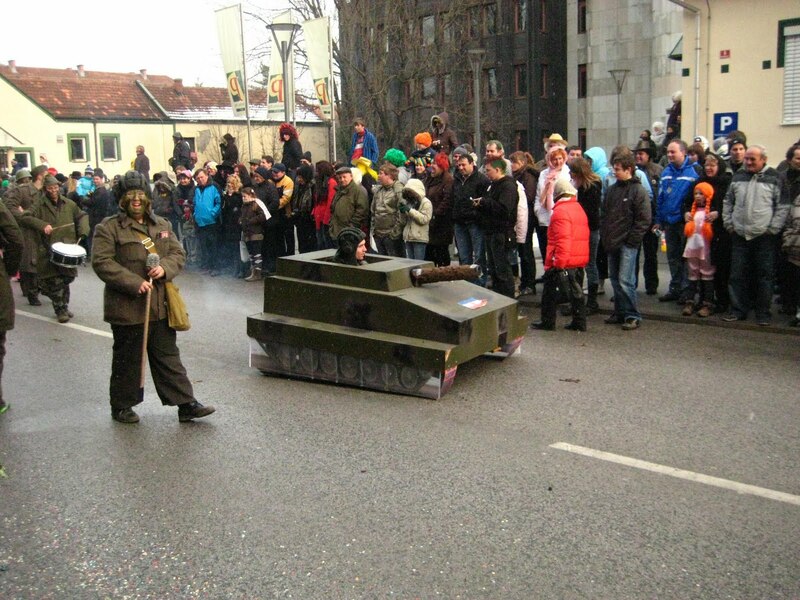 The parade was more than one hour long and Kurents were followed by other Croatian creatures, devils and other international carnival groups. 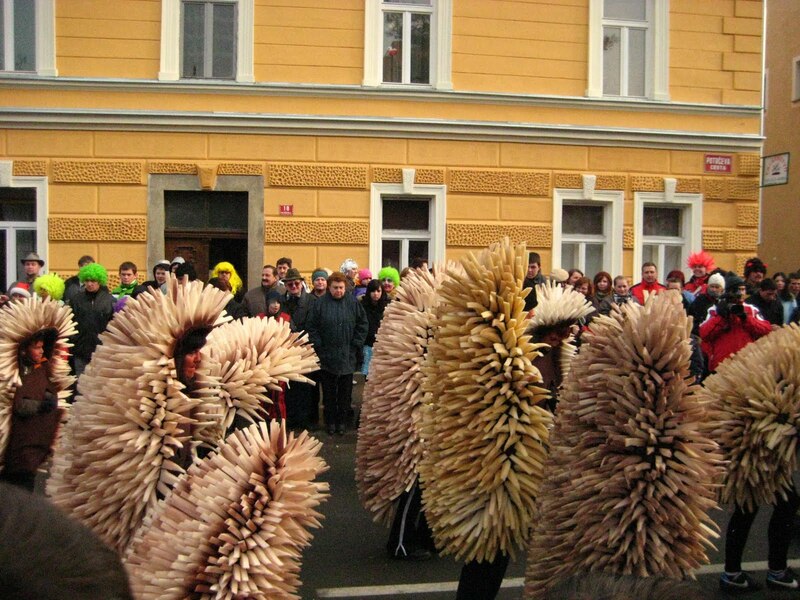 You can imagine a group of 50 people dressed up as sunflowers or hedgehogs. All costumes were hand made. Further, there were floats and happenings refering to political and religious events. 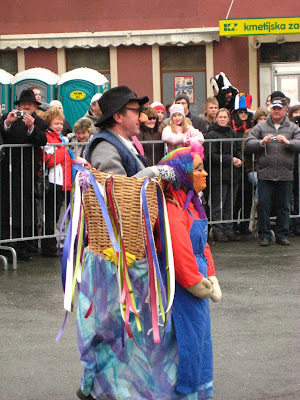 The viewers weren’t save as particpants of the parade made them to take part in the most comic happenings and street theatre shows. One man was kidnapped from the crowd, lay on the hospital bed and resuscitated by one comedian from the carnival group.